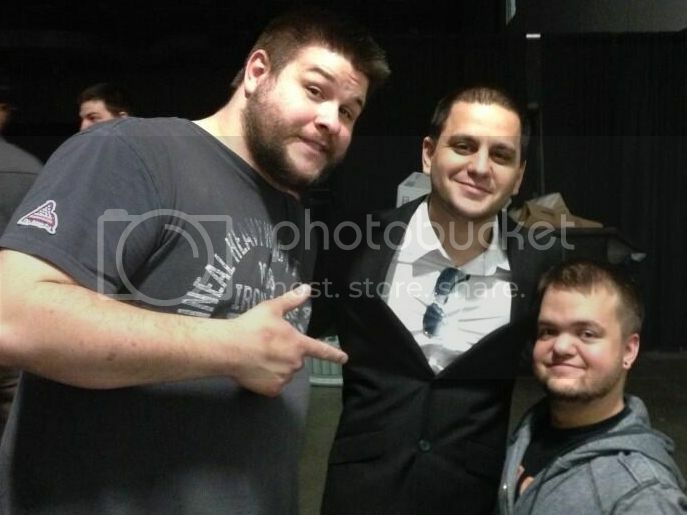 Bob-O wrote: How about Kevin Steen and freakin' Hornswaggle!? HAHA i can see it!!! Aww mate appriciate the two you threw up there for me!! Was hard to pick between the two!!! How did Booker T's "Hulk Hogan, we're coming for you ******" NOT make it?? Big Red Machine wrote: This might be the easiest one of these ever because Enter Sandman is the best song ever. 2 stables that changed wrestling. But who was better?? What are CM Punk's thoughts on Undertaker reaching 20-0 at WrestleMania? Still one of my favourite matches of all time!!! At the time a ladder match was rare in WWE. KILLdozer wrote: Did HBK fulfill the "Boyhood Dream" at WM? If so that def deserves a mention. -While I don't remember a "moment" when Andre the Giant turned heel, Andre turning heel was pretty nuts. Topic: Should The Streak End This Year? Re: Should The Streak End This Year? Didnt Brisco have a tv win over Aces & eights at Final Resolution with ANgle, Bischoff and Joe?? ?